In these last few days before Christmas, we are reminded that time is running out. 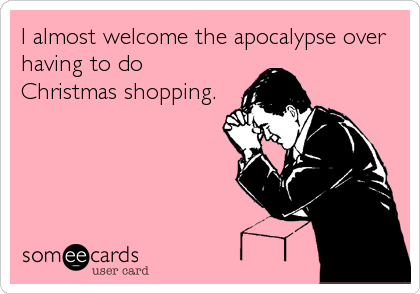 I like the idea of Christmas, but this mad rush to spend money on stuff that eventually goes to a landfill or the back of a closet just isn't for me. Based on the news reports, people procrastinate with their holiday shopping because they just don't know what to get the person who seems to have everything. And that seems like most people on many people's guest list. Personally, I like doing things rather than having things. And if you know people like that, here are five gift ideas for the person who collects experiences, not stuff. Unstuff Gifts is a clearinghouse of ideas for gifts that you can "download, experience, or ingest." Click on an experience and visit websites of vendors offering the service or experience. From there, do your own thing...purchase the product, like a share in a CSA, or the experience, like a Breaking Bad trolley tour. 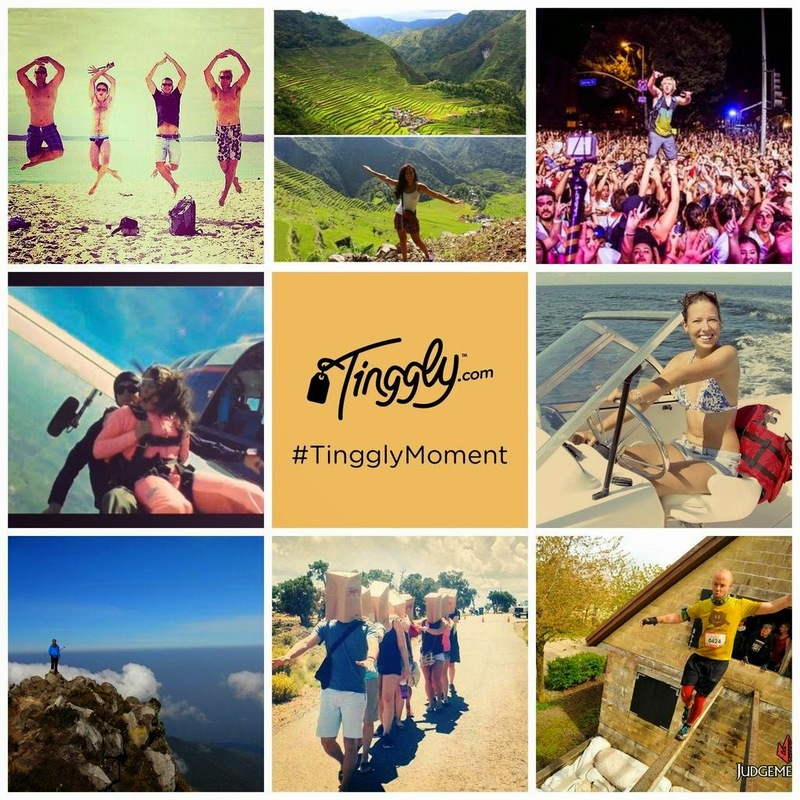 Tinggly is another experience gifting site. With gift packages starting at $125, you can offer over 100 experiences in over 50 countries for your recipient to choose. And they have up to two years to choose their gift. Here's more on how it works. Groupon is still a great place to find a gift. Whether it's a paint night, a pampering massage or beauty treatment, discounts at a local restaurant or tickets to a local event, Groupon may have the perfect gift for that person who has everything. Goldstar is a nationwide service that offers discounted tickets to events, such as theatre, music events, and even city tours in more than thirty cities and neighborhoods across the country. There are no printed tickets; your recipient picks up the tickets at Will Call. NOTE: Make sure the recipient's name is designated for the tickets. They will need a photo ID to pick them up. What about a summer share in a local CSA (Community Supported Agriculture)? Nowadays, adults generally buy what they want and need. By gifting experiences, people have the opportunity to try new things that may lead to new hobbies that bring year-round fun for years to come. I hope your holiday makes memories that bring joy for a lifetime. Unstuff sounds super awesome! And supporting local business is such a great thing to do! For the person receiving and the small business! Supporting small businesses is a win-win. And services like Unstuff is a lot of fun, but also great for populating the bucket list, so to speak, with ideas for things you would like to do. I love gifting experiences. For anniversaries and birthdays, MFD and I always choose to share experiences (trip, meal at a favorite restaurant, massages, etc) over actual gifts. We buy what we want, we'd rather do something together! We do the same. Memories last a lifetime. Hope you have a very Merry holiday season! Great post! I really love your gift suggestions. Thank you, Alicia. Thank you for stopping by. I hope you are having a wonderful holiday season. Kelly, these are such good ideas! I HATE clutter. Sometimes I dread receiving gifts because of that. Thanks for the ideas! Thank you, Suheiry. I hate clutter too and experiences will almost always trump a thing. Memories last a lifetime. Those are such fantastic ideas- most of which I'd never heard of. Thanks for linking up today! Thank you for the opportunity to link up, Jess. Happy holidays to you!